Welcome to Calvary Baptist Church in Montgomery, Alabama. 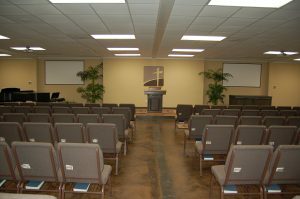 Calvary is a warm and friendly, exciting and growing, Bible-believing Baptist Church. As you visit with us, you will discover what so many others have discovered over the years – there is a real joy and peace that satisfies when nothing else in the world does. We look forward to meeting you!